Art. 065 Water/Seed Dispenser for Cockatiel Cages. Exterior seed cup for canary, budgie and finch cages. 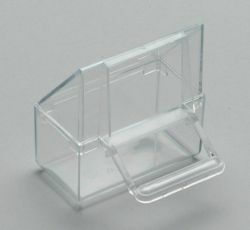 Fits openings 5.5cm x 5.5cm.